The 1byone driveway alarm provides a solution to alert you the moment someone enters your property. It's not only very convenient but also extremely affordable. 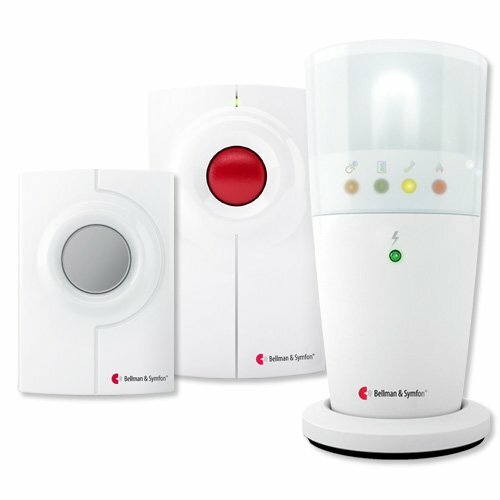 When movement is detected, the Passive Infrared (PIR) sensor sends a wireless signal to the receiver from up to 100m/328ft away. Adjusting the receiver, you can choose to be alerted by a high or low chime or alarm tone, or instead, with just a silent LED flash. What's more, the receiver can pair with up to 50 sensors, effectively securing a large area. We offer many combinations of sensors and receivers, just choose what best fits your needs. To avoid false alarms: Don't mount the PIR sensor in direct sunlight (as moving heat sources would trigger the PIR) or in a place affected by wind. When installing outside, it's best to mount it in a shady, protected place with minimal changing temperatures. Also, avoiding mounting on UPVC or metal doorframe surfaces which may reduce the transmission range. Specifications:Power Supply (Receiver): DC 6 V or 1.5 V C Battery x 3 (not included) Power Supply (PIR Transmitter): DC 4.5 V (1.5 V AAA Battery x 3 )(not included) Motion detecting range: 5 - 8 m/16-26ftOperating range: 100m/328ft Ring Volume: ≥100dB ( within 0.5 m/1.6ft) Box Contents:2 x PIR Transmitters 1 x Receiver 1 x Instruction Manual4 x Wall Plugs 4 x Screws Here at 1byone, we stand by our products 100% with a 24-month warranty. A happy purchasing experience is our #1 priority and we will happily send a product replacement if any issues arise.